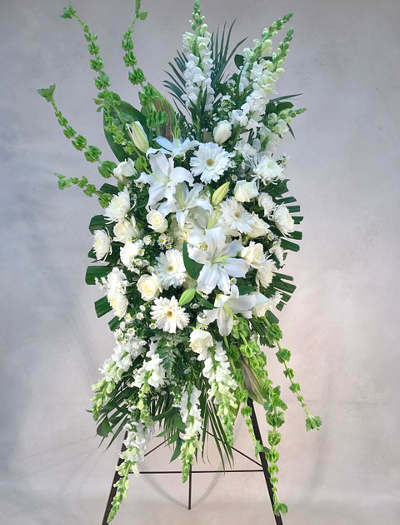 This is a beautiful serene piece with all white flowrs arranged in a full spray. Flowers include lilies, roses, gerbera daisies, hydrangea, carnations and bells of Ireland. Price includes the wire easel stand.